With so many fun and trendy athletic pieces out there, it’s not fair that we only get to bring out our sports bras, leggings, and workout tops for 1 hour a day. Fortunately, athleisure has crossed over to become a legit fashion trend. 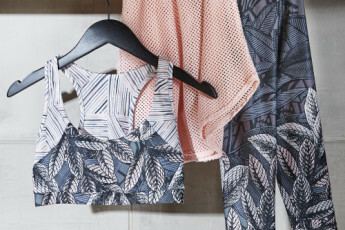 So how do you wear your workout gear to make a ‘grammable fitness fashion statement? Check out these easy tips to help you create fun athleisure outfits that are cute and comfy enough for all-day everyday wear. For the ultimate comfy athleisure look (and one of my favorites), combine a cardigan with your favorite sweatpants. With such a cozy look, feel confident showing a sliver of skin with a cropped sports bra. PSA: you don’t have to have abs of steel to pull off this look, loves. All you need is confidence! When in doubt, add a jacket. Whether it tied around your waist or simply worn, a jacket is a great way to take your athletic look from the gym to coffee with girlfriends. To make a basic jacket pop, pile on the textures with a mesh tank and glossy leggings. 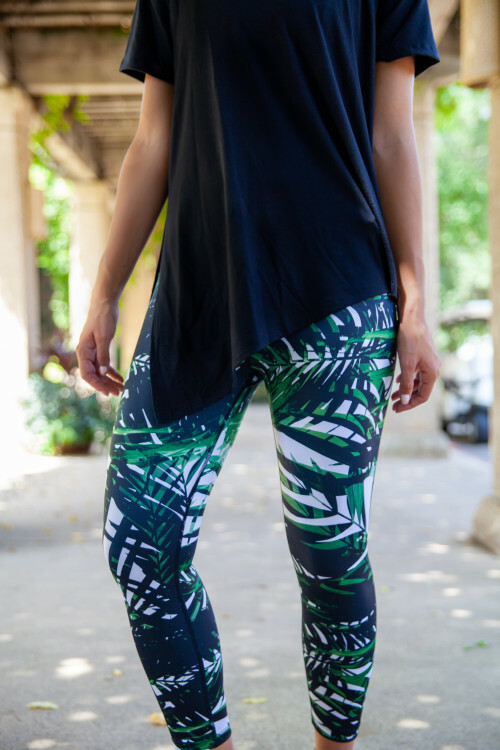 The easiest way to take your gym wear outside of the gym is by pairing your favorite printed leggings with unique yet neutral tops. Black is always a strong color choice to tone down and class up a crazy print. Asymmetrical silhouettes and subtle mesh panels add a little sass. I started my blogging journey after returning from a 5-month stay in Granada, Spain. I spent every weekend traveling to a different destination, and life was a constant adventure! When I returned to Dallas, Texas, I didn’t want to give up that lifestyle. On my blog (mycurlyadventures.com), you'll find me posting all about my local adventures and how to stay fit and fashionable in this hot city!